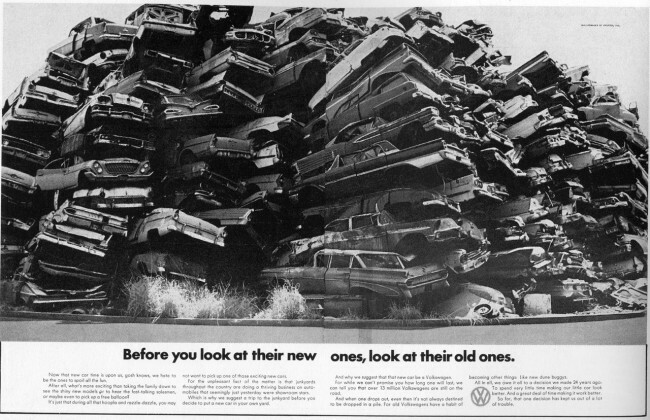 This old ad from Volkswagen shows a pile of classic 1950’s and 1960’s American cars. For fun, see how many of the cars you can identify! I’m sure you’ll spot a few of your favorite classics in the pile.